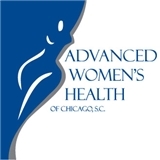 Advanced Women's Health of Chicago (Chicago) - Book Appointment Online! Dr. Sue Kafali-Nazarof provides medical and surgical care for women, with an expertise in all stages of pregnancy and childbirth, as well as disorders of the reproductive system. She also specializes in high-risk pregnancies, 3D ultrasound, and vaginal and abdominal surgery; she also has advanced certification in minimally invasive robotic procedures utilizing the daVinci Surgical System If an appointment is not cancelled at least 24 hours in advance you will be charged a twenty five dollar ($25) fee; this will not be covered by your insurance company.